* As the postscript shows, the bad news were temporary. • The dock is cast in Zinc metal. We chose this to be consistent with our design philosophy, to give the superb finish and to add the weight we believe is desirable in a dock. • The Zinc is then coated using a durable paint so it's relatively scratch proof. • The connectors are gold-plated RCA plugs for quality audio use and of course we use the genuine Apple 30-pin line out rather than the inferior headphone jack. 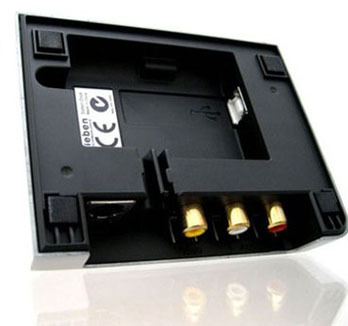 • Video is supported by both composite RCA and S-video connector involving special Apple-authorized chips to unlock Apple's full video signal. • We made sure the dock would charge whilst listening and of course enable users to sync up with their PC/Mac. • We include a 1.6m shielded USB cable. • Our packaging is designed to ensure a quality experience and use recyclable materials. "There are always some interesting choices to be made. 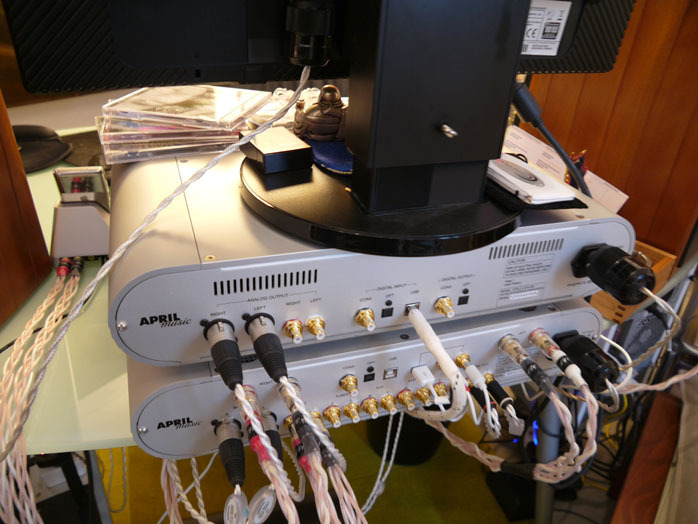 One of these is that we decided not to include audio cables, preferring instead to let users choose their own according to preference and budget as well as recognizing that many already have spares. At this stage we are only shipping the dock with the Australian power plug but as the dock charges via USB, most users are likely to already have an Apple-based USB mains wall socket charger; or can charge off their PC/Mac; or use a travel adaptor; or buy an adapter or charger locally. Our Gen2 model accepts the iPhone 3GS although airplane mode is then recommended to optimize sound quality if you're playing audio. The current retail is AUD $129.95, however we have created a hidden page on our website for customers within Australia who wish to purchase this product for $89.95 plus free postage. Please note that at present this product is only available for sale in Australia. 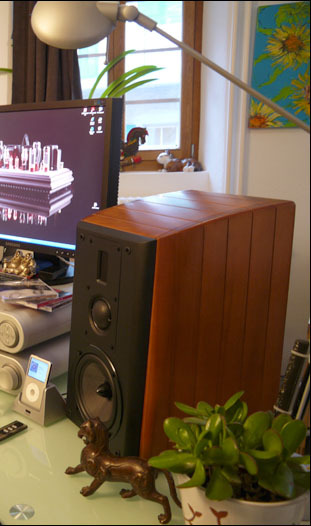 We understand the role of direct digital docks such as the Wadia i170 and we are not positioning ours in the very high-end market place, instead choosing to focus on users who seek an elegant means to charge their Apple device, sync with their PC and/or be able to achieve a quality connection for audio and video. 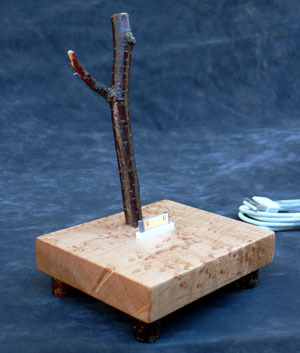 It should look as at home on an executive work desk as it does in a family listening room." 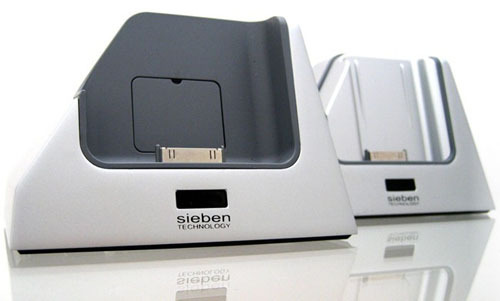 The Gen2 Sieben is compatible with the iPod Nano Gen 1 thru 4, the iPouch Touch Gen 1 and 2, the 5th gen iPod and the iPod Classic and weighs a solid 320g. It arrives with all the necessary inserts to accommodate the various devices; sports a sizable IR eye; and includes a stylish remote for play/pause/off, and back/next. Very important—if rather than going through a list or shuffle, you access the menu one-handed via necessary scroll wheel input—is that the Sieben fully supports the back of the device. Your iPod doesn't merely ride the 30-pin socket. That's fragile over the long term when you manipulate its front with any kind of finger pressure while docked. Though as fiercely stylish as a designer boutique in Milan, the Sieben is also a properly engineered device. Beauty and brains. Obviously the iPod volume control is disabled for better sonics. You'll need to do volume with your headphone or speaker amp. And unless you truly believe that throwaway cables sound the same as good solid audio wires with proper terminations, you'll appreciate that the Sieben socketry now connects your iPod to the best cables you might want to throw at it (ALO Audio cryo links in my case). Hifisters will love that their device will always speed-charge without requiring a PC USB connection. The Sieben is thus ready for the big system, no nearby computer required. In su casa, that could be verboten. It's in mine. No computers in the listening den. So what's a jaded audio fashion oracle to pronounce? It takes no crystal ball to make today's call. If you want remote control and aren't into the rustic thang like Joel Scilley's Audiowood Scrappy iDock made very eco conscious from woodshop cast-offs; or otherwise woody like Ken Ball's ALO Audio offerings; the sleekly asymmetrical and mostly metallic Sieben solution should have your name all over it. In sassiness and substance, it's the perfect companion for your stylish mobile Apple device. Casting anchor to recharge one's batteries has seldom been this slick. 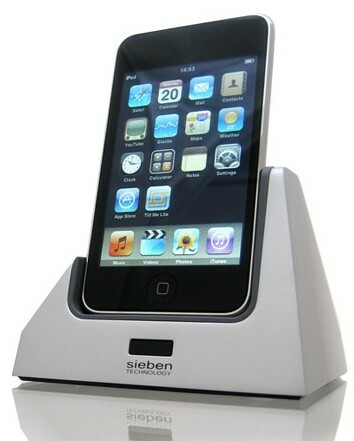 The tactile pleasure of handling an iPod docked on the Sieben with one hand is an extra bonus. It's simply cool. Quality of packing: Very good. Egg-carton material. Ease of unpacking/repacking: A cinch. Completeness of delivery: Perfect. Includes five different adaptor inserts to suit all listed devices; a high-speed 1.6m USB cable; an Oz-style USB AC socket; a shiny black plastic remote control with watch-style battery; and an owner's manual. Pricing: Excellent value for money. Final comments & suggestions: The sole fly in the ointment at present is the 'embargo' outside Australia. "The reason is that we’re a small Australian company and have not yet committed to FCC/US and CE/EU approvals. In addition we do not have product liability insurance outside Oz. Hopefully our business will grow to where we can justify the cost associated with the approvals and insurance (it’s a bit of a catch 22 to be honest)." Postscript June 2010: "Since your review in March 2010, we've had a number of interesting and exciting developments. We now received FCC compliance certification for the Sieben iDock Gen2. This means we can now sell this product in the US. To purchase a US variant, your readers will need to visit our new website www.z-docks.com. As a special promotion, we would like to refund the full purchase cost of every 25th iDock purchased. "Further, Vincent Sweeney’s business (Sydney Capital Partners) has come aboard as a key shareholder to help provide funding, marketing strategy and expand the product range. As a result we have now rebranded the company and the family name will be 'Z-Docks' and the dock you reviewed will be called by its old name but more generally by the name AV-Dock. We are preparing an elegant Base-Dock for those who want something simpler without AV functionality. This product will be available very soon. We are also well advanced in preparing our first iPad product. We'll have other products we hope to release over the coming year, all designed for audio lovers who enjoy high-quality design statements."